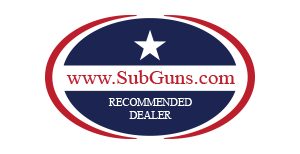 NFA firearms are divided into seven types - Machine guns, silencers, Short barrel shotguns, short barrel rifles, AOW's and Destructive devices. For all practical purposes these can all be considered pretty much the same in the way the transfer process is handled by ATF. These types of weapons are legal in most states (see our legality map) and are easier to acquire than many people realize. In fact if you can buy a handgun at your local gun store ATF will most likely approve your transfer of an NFA weapon. We have had very few customers denied transfer of an NFA weapon. There tends to be a lot of confusion about how the NFA transfer process works. The following is a brief description of the process, designed to help our potential buyers understand what is required.